Star Wars: The Force Awakens, also known as Star Wars Episode VII: The Force Awakens, is an upcoming American epic space opera film directed by J. J. Abrams and the seventh installment in the episodic Star Wars film series. The film is scheduled for release on December 18, 2015; ten years after the premiere of the previous live-action Star Wars film, Episode III: Revenge of the Sith. The above is the logo of the film as seen in its official teaser poster and teaser trailer. The font used for “The Force Awakens” is ITC Serif Gothic Heavy designed by Herb Lubalin and Antonio DiSpigna and released by in 1972 by ITC. 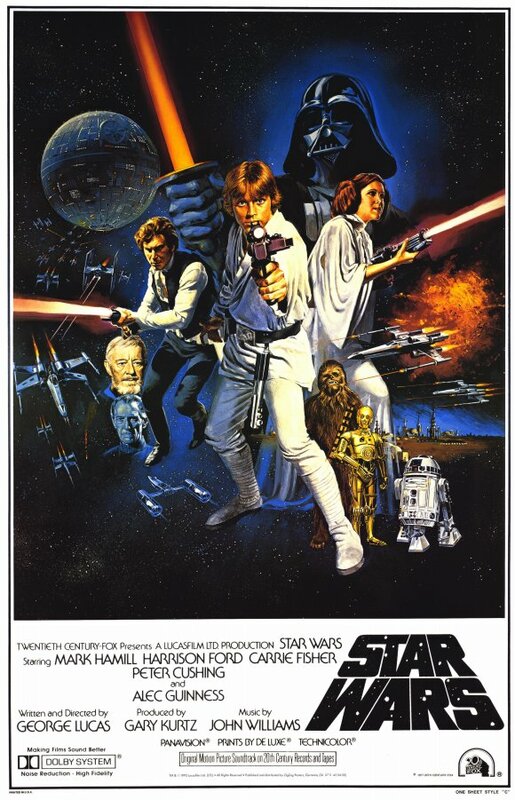 Actually, the use of ITC Serif Gothic typeface by Star Wars can data back to 1977, when it was used for credits text in the original posters of the first installment of the series. For the Star Wars logo font, you can see it here. In addition to The Force Awakens, ITC Serif Gothic typeface is also used in the following logos, movie posters or album covers etc., including: Cooties, The Last Jedi, Here Comes the Devil, Stories Untold, Beautiful Lies (Birdy), Halloween (1978 film), The Boat That Rocked.